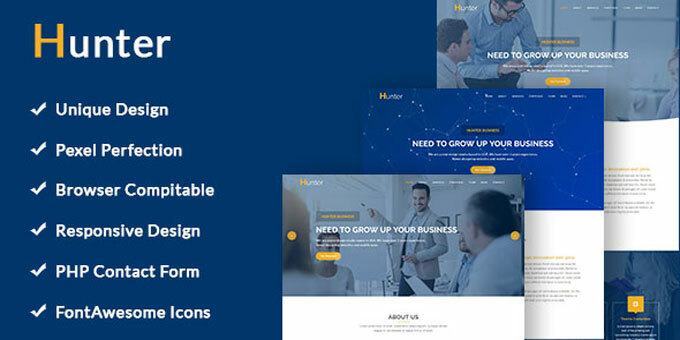 Hunter - One Page Corporate HTML5 Template is a Clean and Corporate template. Hunter comes with a lot of styles with numbers of CSS and JQuery animations. It works perfectly on all Smart Devices: Smart Phones, tablet, Laptop and desktops. All files are clearly organised we believe it will be easy to use and edit Template.